Why would Apple move Macs to ARM processors? Apple’s Macintosh computers rely on processors from chipmaking giant Intel – just like the vast majority of the world’s PCs, notebooks, and servers. However, Apple’s iOS device line, such as the iPhone, iPads, and iPod touch, rely on processors based on designs from ARM. These chips aren’t as fast or powerful as mainstream Intel processors, but they’re cheaper and they consume far less power, making them ideal for mobile devices like smartphones and tablets. Now, Bloomberg is citing three unidentified sources saying Apple is seriously investigating shifting Macs from Intel to ARM chips, and new developments from ARM are adding fuel to the fire. Could Apple move Macs away from Intel to ARM-based processors? What hurdles would Apple face, and how would ARM-based Macs stack up? With the original iPad back in 2010, Apple revealed it was designing its own ARM processors rather than relying on chips designed by Samsung or other manufacturers. (That first chip was the Apple A4, which quickly moved to power the iPhone 4 as well.) With Apple designing its own chips, speculation immediately mounted that the company might one day move its Macintosh computers away from Intel to its own ARM-based processors. 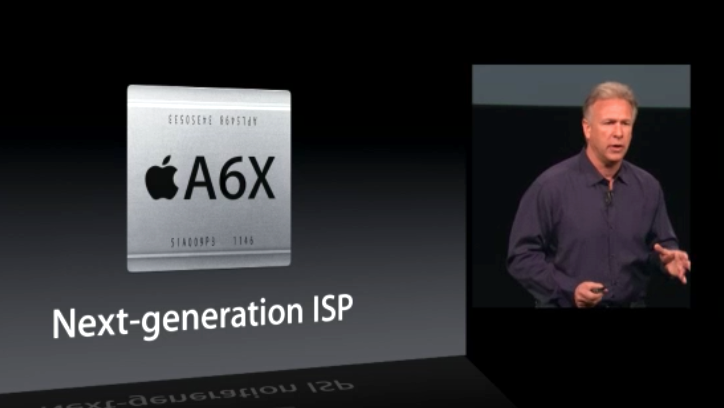 After all, it wouldn’t be the first time Apple has changed the Mac’s processor architecture. Apple has already shifted the Mac’s processor architecture three times: from Motorola 68000s, to PowerPC, and then to Intel. If there’s a company with experience managing these transitions, it’s Apple. And each time Apple has unveiled a new processor, that speculation has started anew. 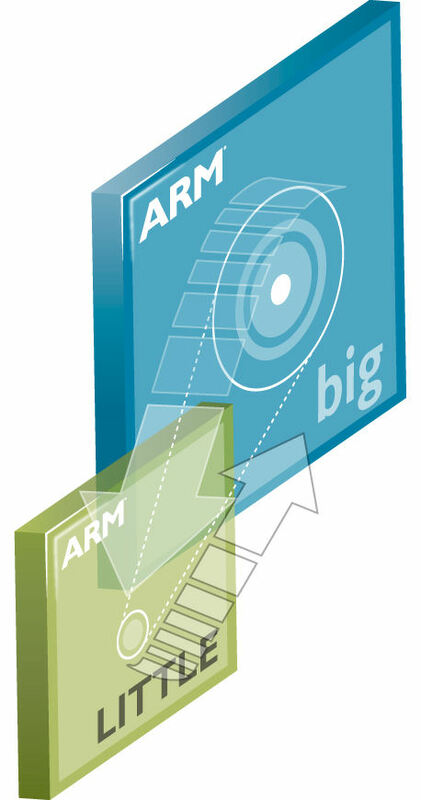 Current ARM-based chip designs use 32-bit architectures. For now, that’s ample for most mobile and tablet applications, but one significant ramification for desktop computing is that these processors can only handle about 4GB of memory. Macs today ship with a minimum of 4GB of RAM, and many ship with 8GB, so using a 32-bit architecture just isn’t feasible for today’s desktop computers. However, last week ARM Holdings took the wraps off its Cortex-A50 series, the first ARM processors designs with a 64-bit architecture. (One of them also can claim the title as the world’s smallest 64-bit processor.) Suddenly, managing the amount of memory common in today’s desktop computers—and even high-end servers and workstations—is within reach. ARM doesn’t make chips; it designs then, and licenses those designs to companies like Samsung, Qualcomm, and (of course) Apple. It will take time for firms to implement 64-bit designs of their own. Nobody is expecting 64-bit ARM chips to be a reality on the market for another year or 18 months. But the market is no longer holding its breath for ARM to release 64-bit designs: now, the work can begin. It’s also worth noting Apple’s relationship with ARM is much older than its relationship with Intel. It goes all the way back to the 1980s, and Apple collaborated in early stages of ARM processor development. That resulted in Apple owning a over 40 percent of ARM, and that stake helped Apple weather its mid-1990s death spiral as it repeatedly padded its bottom line by selling ARM shares to lower its losses. Apple’s work to design its own processors isn’t just a vanity project: It’s about getting performance and capabilities that can’t be matched by other mobile device makers using stock parts. Apple has invested heavily in acquiring chip design expertise (in part through the acquisition of PA Semi and Intrinsity. Apple has consistently been increasing the clock speed of its processor and graphics cores and getting improvements through architectural adjustments. Unveiling the latest iPad, Apple also revealed its latest A6X processor was laid out by hand, rather than trusting the details to CAD tools. The company is clearly willing to sweat the details and design processors that specifically support things like its Retina displays without sacrificing battery life compared to previous, lower-powered products. That expertise can directly translate to notebook and desktop PC designs. Part of Apple’s recent executive shakeup (which saw the ouster of iOS chief Scott Forstall) was the creation of a new Technologies unit under Bob Mansfield, including Apple’s semiconductor teams, described as having “ambitious plans for the future.” Although the Technologies group is tasks with unifying all of Apple’s wireless efforts, as VP of Mac Hardware Engineering, Mansfield oversaw the development of things like Apple’s iMac and MacBook lines. While the industrial design of Macs remains the province of Jonathan Ive, actually getting them built still seems to fall on Mansfield’s shoulders, in addition to being in charge of chips. When Apple introduced the MacBook Air back in 2008, it was deemed almost impossibly thin, and the line continues to set the bar for ultraportable notebooks. Apple built the original MacBook Air using a custom Intel processor; one of the reasons Apple was able to beat other PC makers to the super-slim form factor was that it wasn’t using off-the-shelf parts. Apple has continued to demonstrate with the Retina MacBook Pros, ongoing MacBook Air line, and the latest iMac that its obsession with thin-and-light computer designs continues unabated. Although Intel has acknowledged Apple has has provided valuable input into its chip designs, Intel is not making custom processors for Apple, which poses a problem moving forward. It will be difficult for Apple to keep its PC products in front of the rest of the market if it’s forced to use the same off-the-shelf processors as everyone else. Design considerations alone might be incentive to Apple to start seriously looking at alternatives to Intel. Would OS X run on ARM? Apple bringing its OS X operating system to ARM might seem like the equivalent of Microsoft bringing Windows 8 to ARM devices in the form of Windows RT: a potential seismic shift in the product landscape. However, Apple has a head start. Its iOS operating system is based on Mac OS X, meaning the two share a large number of core technologies. Much of the groundwork for running OS X on an ARM chip already exists, and there’s long been speculation Apple has been bringing up most of OS X on ARM systems for years just as a proof of concept. A bigger question is how well OS X would run on ARM processors: Would it deliver a reasonable desktop experience? By some benchmarks, the A6 processor Apple uses in the iPhone 5 already substantially outperforms any PowerPC notebook Apple ever made, and the A6X in the latest iPad scores even higher. And with the power available in notebooks and desktop computers (as opposed to phones and tablets), Apple could push the processors to significantly higher clockspeeds. Apple could also improve performance and keep heat levels down by adding more processor cores. That would increase the cost of each processor, but Apple’s chips are so much less expensive than Intel’s mainstream CPUs that Apple could afford to eat a bit of expense there. Given how many people find Apple’s iOS devices totally acceptable for lightweight gaming, Web browsing, email, managing photos and entertainment like movies and music, it’s fair to guess hypothetical ARM-based Macs would be able to meet those same sorts of needs easily. On consumer notebooks and desktop systems, the real performance constraints are usually memory, storage, and networks, not the processor. However, once one gets beyond mainstream computing needs, ARM chips aren’t going to be able to stand up to Intel in the foreseeable future. That means folks who rely on their Macs for content creation, high-end gaming, software development, and compute-intensive applications like large databases, software development, real-time digital signal processing (think musicians and DJs), would suffer from a switch to ARM processors. These are the same users who purchase Apple’s highest-priced, highest-margin Macintosh computers and constitute many of Apple’s most loyal and lucrative Macintosh customers. It seems unlikely Apple would kick them to the curb, so if Apple does move Macs to ARM-based processors, higher-end Macs are likely to stay with Intel. Just as Windows RT can’t run old Windows software, a hypothetical ARM-based Mac wouldn’t be able to run old OS X software. In the past, Apple has always provided an emulation layer that let old software continue to run, albeit slower. Apple’s cleanest transition was from PowerPC to Intel: Its Rosetta PowerPC emulators let Mac users transition the vast majority of their existing PowerPC software to their new Intel Macs without batting an eye, letting them continue to use their software, then upgrade to new Intel versions over time. It’s not clear that Apple could manage a transition from Intel to ARM so easily. Russia’s Elbrus Technologies recently announced an x86 emulator for ARM that can let ARM chips run software compiled for Intel processors, but it can only deliver about 40 percent of the ARM processor’s performance through emulation. Elbrus thinks it can bring that level up to 80 percent by the end of 2014, but considering ARM chips are already slower to begin with, that may still mean sluggish performance. The alternative is Microsoft’s approach: Bar legacy software outright. A desktop version of iOS? The Mac used to be Apple’s market-leading product… but then it was eclipsed by the iPod, and then by the iPhone, and then by the iPad. Where Apple customers used to come to iOS devices with a knowledge of Mac OS X, now it’s much more likely Apple customers come to the Mac after getting into the Apple ecosystem on an iOS device. Apple’s “back to the Mac” emphasis in Lion and Mountain Lion is about taking elements of iOS and taking them back to OS X so iOS users feel more at home. The Mac App Store, Notifications, and full-screen mode all arose from this effort. If Apple can’t support legacy Intel apps, would it make sense to essentially make a version of iOS for the desktop? It have the advantage of being instantly familiar to millions of existing iOS users, with hundreds of thousands of existing apps available on launch day. However, apps originally designed for smartphones and tablets generally would not translate well to a notebook or desktop computer. After all, Apple CEO Tim Cook was quick to criticize Microsoft for the sacrifices made by its own hybrids. 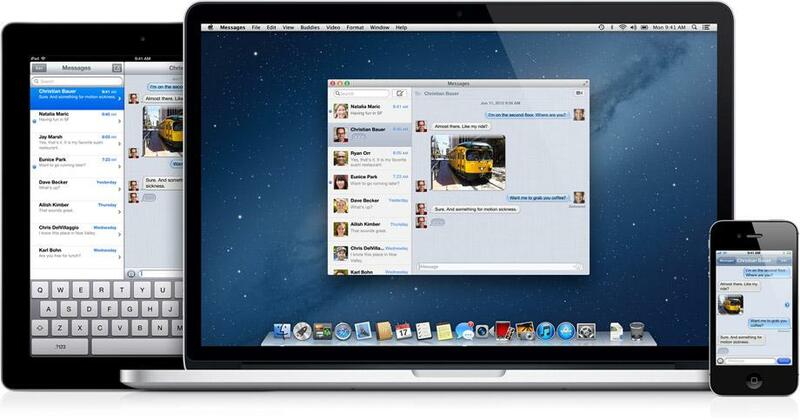 Apple would also have to make some changes to iOS to match desktop users’ expectations. For instance, multitasking under iOS is currently limited to a handful of tasks that can be delegated to the operating system, all in the name of power management and maximizing battery life. Many desktop users would expect more robust multitasking, without a significant impact on battery life. Apple likes to control its own destiny. Part of that fierce independence comes from total control of product design from the ground up, from the silicon in the chips to the finish on the case to the pixels on the screen. With its Macintosh computers, Apple doesn’t control two key parts of the package: the processor and the graphics chip, which it relies on Intel and Nvidia for. 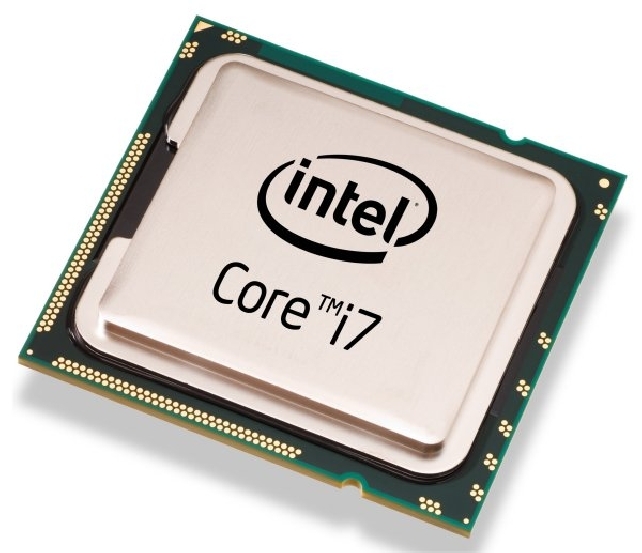 If Apple were to make its own ARM processors, it would liberate Apple from dependence on Intel’s rigid upgrade schedule, which controls the rest of the PC industry. Of course, putting ARM chips into Macs – or threatening to – could simply be a clever way to exert leverage on Intel. Intel scored a tremendous public relations coup back in 2005 when Apple switched from PowerPC to Intel processors. Although Intel can certainly afford to lose Apple as a client on purely financial level, the damage to Intel’s reputation could be substantial – after all, Apple is one of the most-watched and most-respected companies on the planet. Toying with the idea of a switch to ARM chips could give Apple significant negotiating chips with Intel, maybe even enough to get the chipmaking giant back to making custom processors only available to Apple, like it did with the original MacBook Air.